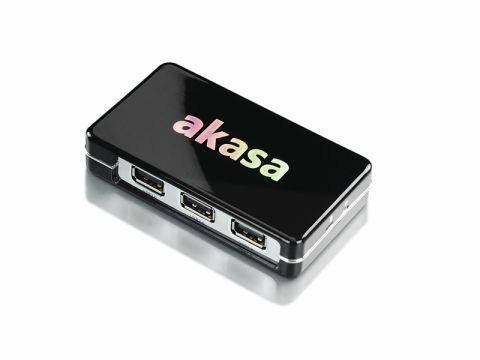 As the name would suggest, this USB hub allows you to connect seven devices to it. The Connect 7 is small and compact. It measures just 94 x 53 x 18mm and ﬁts in the palm of your hand. With four ports on the front and three on the rear, this is as compact and small a USB hub as you're ever likely to need. The ports are quite close together, so you may ﬁnd some devices a little tricky to attach. You can use it on the move at the slower USB 1.1 speed. However, to get the full benefit you'll need to use the plug-in power adapter that allows USB 2.0 to run at 5Volts. This is a simple concept that works exceedingly well. Sure, it's not essential, but if you ﬁnd you have limited USB ports on your laptop, you will ﬁnd it a very worthwhile investment.